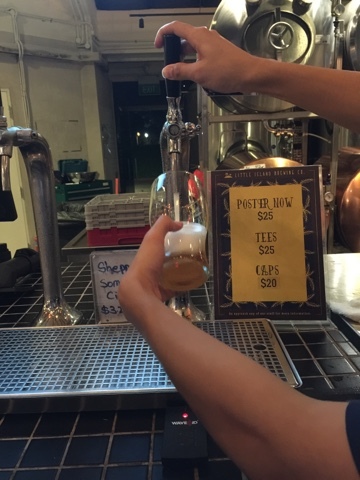 Little Island Brewing Co@Changi Village - Try the beers before you pay & you pay for the exact amt you drink! 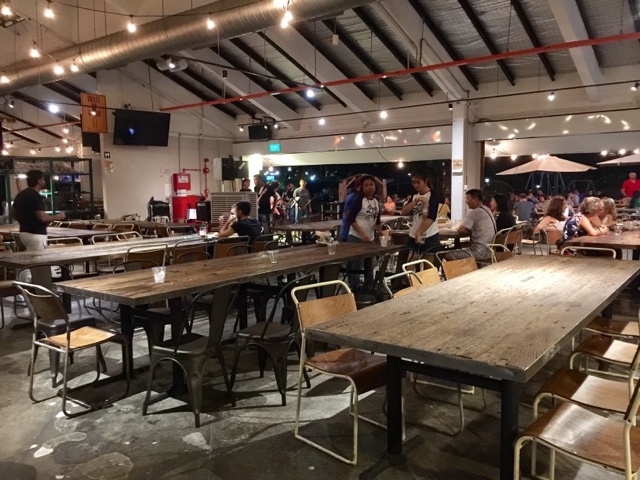 Little Island Brewing Co is a 270-seater restaurant, located just behind the hawker centre in Changi Village. 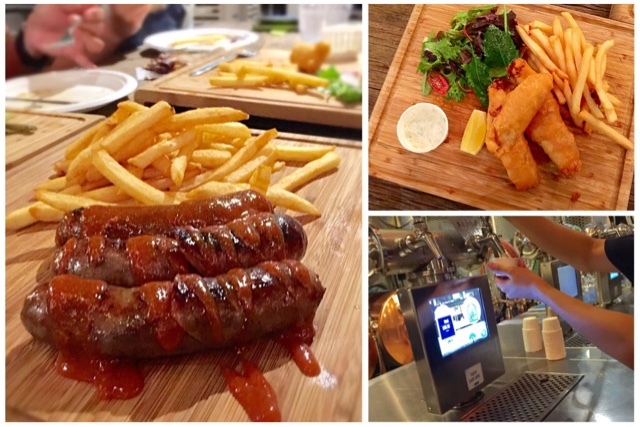 Not only does it serve a variety of delicious food that goes well with beers, it also has some very interesting features such as allowing customers to try their beers before they pay and they pay for the exact amount that they drink! 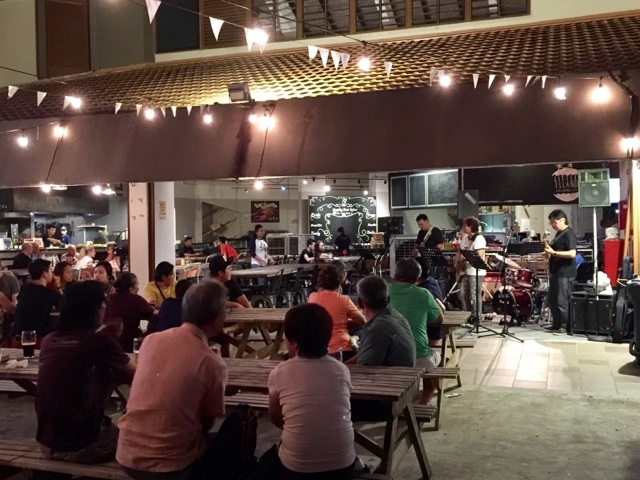 The restaurant also has a live band which performs a 30 min gig twice on a Saturday night, turning the diners into audience at a mini concert. 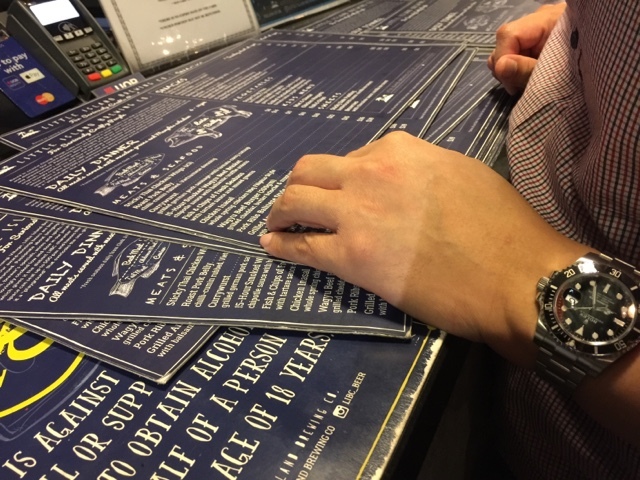 How to order your beer at Little Island Brewing Co? Firstly, I ordered my food and a DRINKS CARD at the cashier and I topped up the card with a certain amount. Any unused amount would be refunded after the meal. I was very surprised when the cashier reminded me to make sure I try out their Cider before paying because it is not a fruit Cider. Next, we approached the electronic drinks dispensers with our drinks cards. There was a staff welcoming us and asking us which beer we would like to try first! COOL! 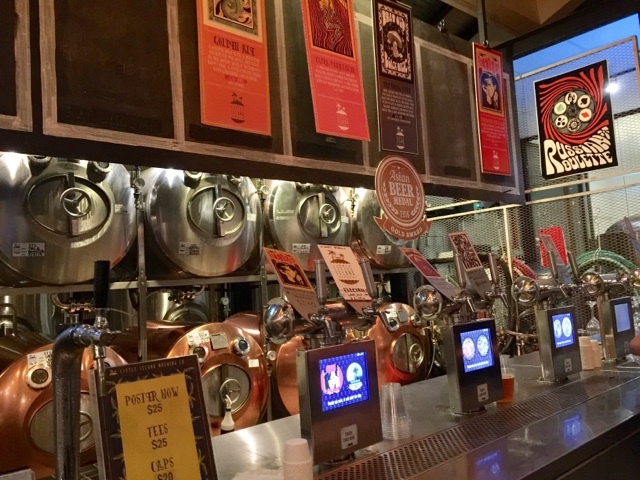 I have never been in a place whereby I get to try beers, just like how I get to try ice cream at Udders. 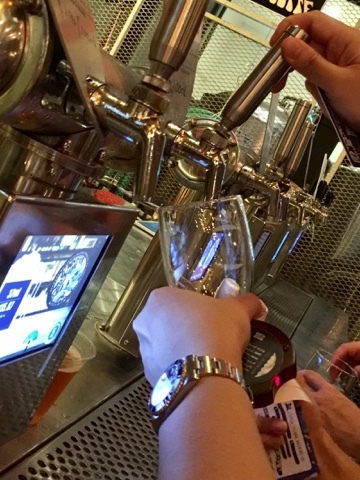 I saw a roll of mini monitor screens blinking before the beer dispensers. I was very excited and I asked the staff to recommend some fruit beers since they are my favourite. I tried a few beers but they did not taste fruity enough for me. The beers tasted very manly. I only drink Hoegarden or fruit beers so I asked to try the Cider. The Cider had a weird smell but I liked the taste. It was sour and sweet. Staff demonstrating how to buy and dispense beer. 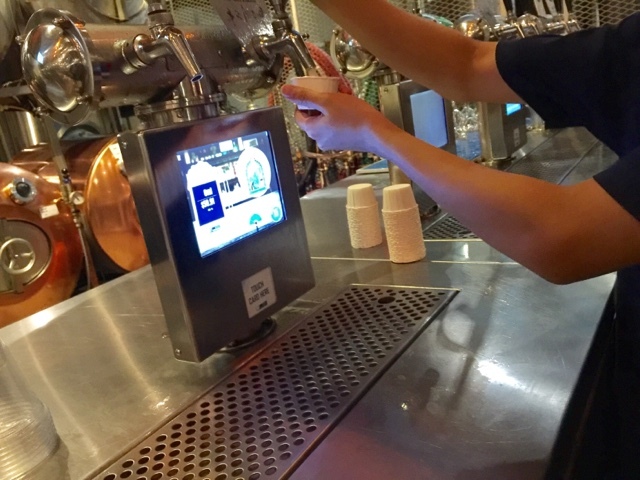 After deciding on the type of beer, I placed my card on the monitor screen with my choice of beer and indicated my choice on the touch screen. As I pushed my glass against the dispenser for the beer, the credits in my drinks card would start to be deducted. The concept is similar to pumping petrol. 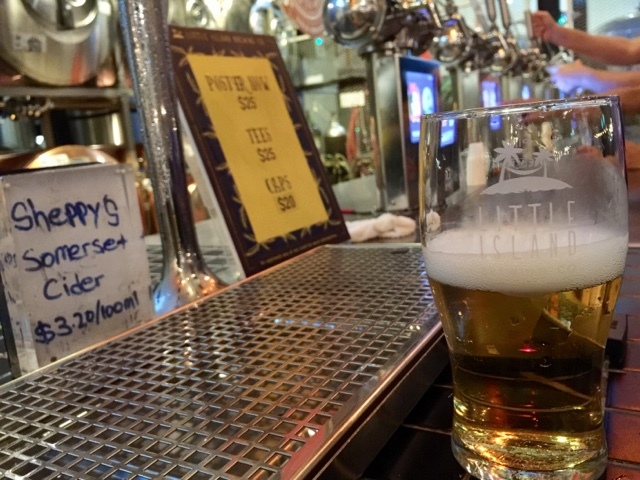 This idea is perfect for me because usually, I am not able to finish a glass of beer on my own so I only ordered half a glass. After the first try, we were free to return to the drinks dispensers and helped ourselves to the beer. 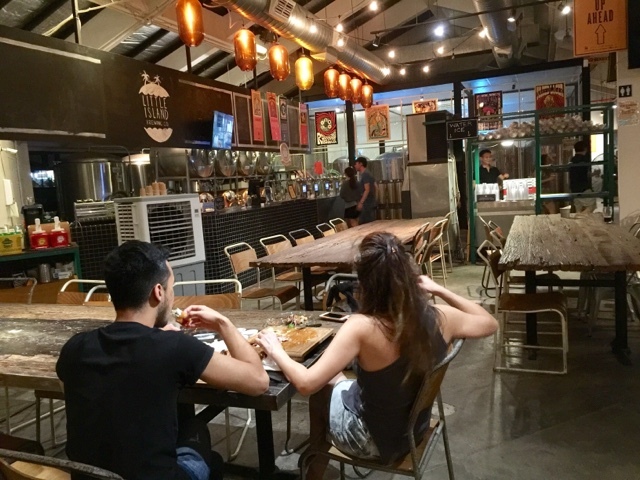 What are the Must Try food at Little Island Brewing Co? 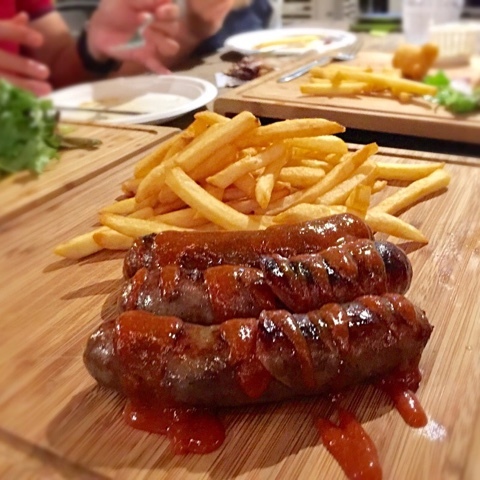 The grilled pork and cheese sausages were fantastic and perfect to go with beer. 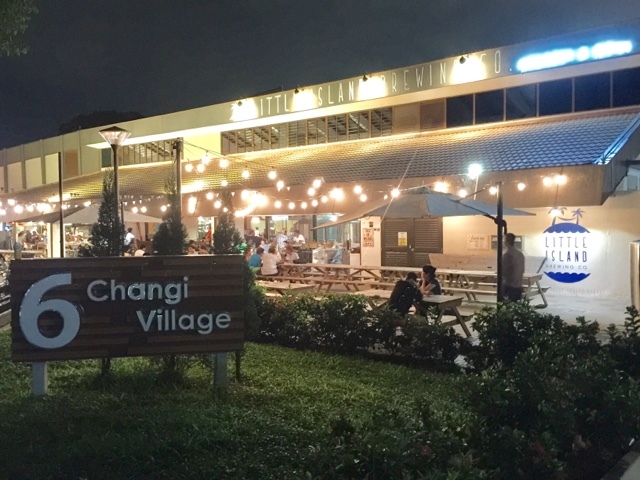 It was very flavourful - shiok! 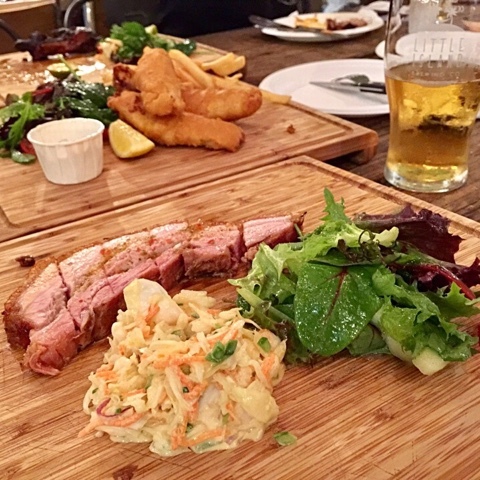 The Pork Belly Crispy Cumin rubbed was so delicious that we ordered two rounds of it. It was because of this piece of pork belly that I aggravated my wisdom tooth wound. I wanted to try it so much since everyone was heaping praises on it. The skin was definitely crackling. What was the dish of the day for me? 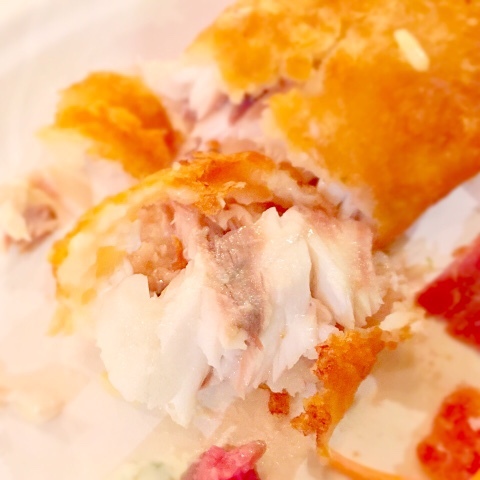 This was the best fish and chips I ever tasted because the Seabass was indeed extremely fresh and the batter was excellent. 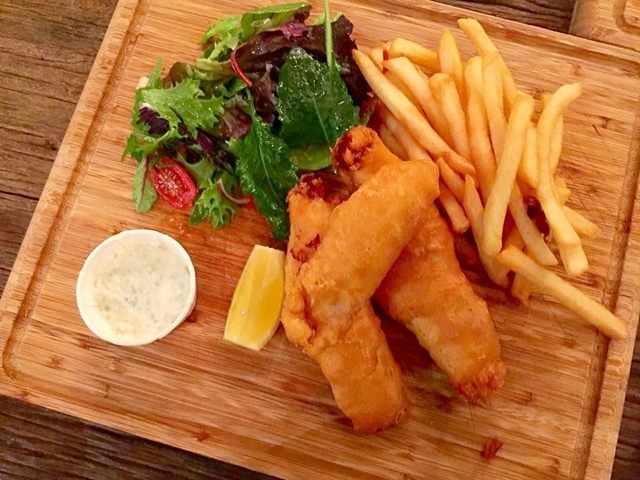 I would specifically make a trip to Little Island Brewing Co just for the fish and chips. Look at how fresh the fish is! What was the most disappointing dish? 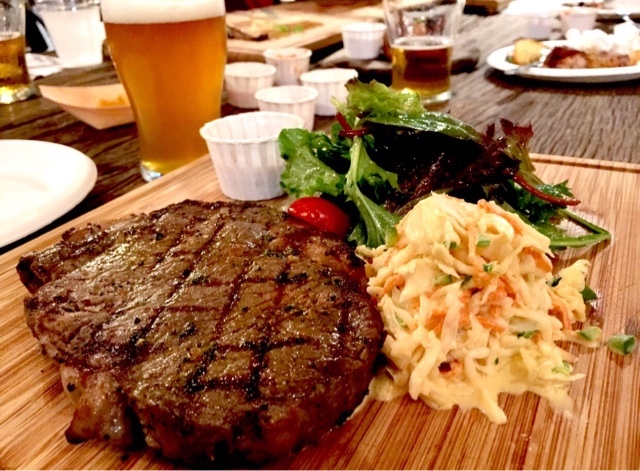 Little Island Brewing Co MUST BUCK UP in terms of seasoning the beef steak. It was so salty that I could hardly taste any beef! At S$39, we were extremely disappointed. It had great potential to be a Must Try because it was tender and it was still medium pink when we cut it. 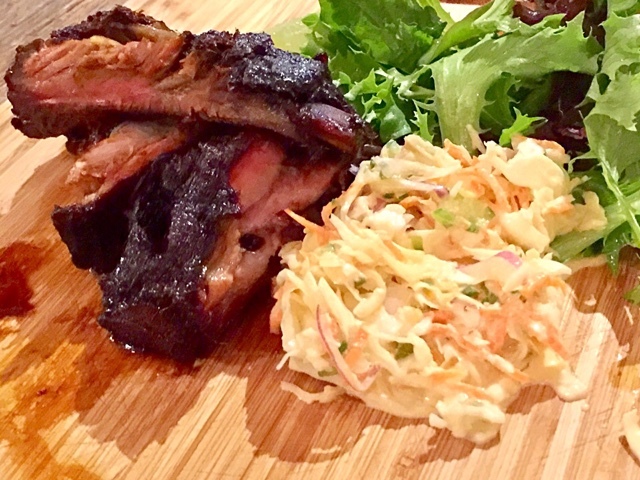 What food was delicious & interesting at Little Isl Brewing Co? The pork ribs were very soft and delicious. What I liked about it was the interesting Balinese sauce that the ribs were marinated with. I could not quite describe it but it was nice. Sweet and Sour. 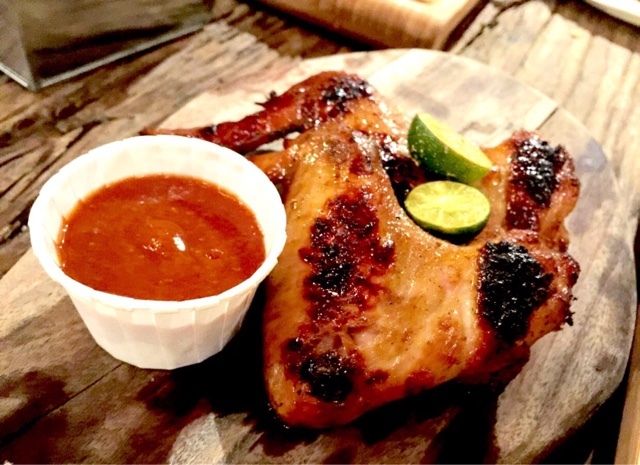 I love the tamarind glazed chicken wings! Charred to perfection and the tanginess of the tamarind went very well with chicken! I shall try it out at home too! Other than food, what else did you enjoy at Little Isl B Co? The entire place looked whimsical from afar. 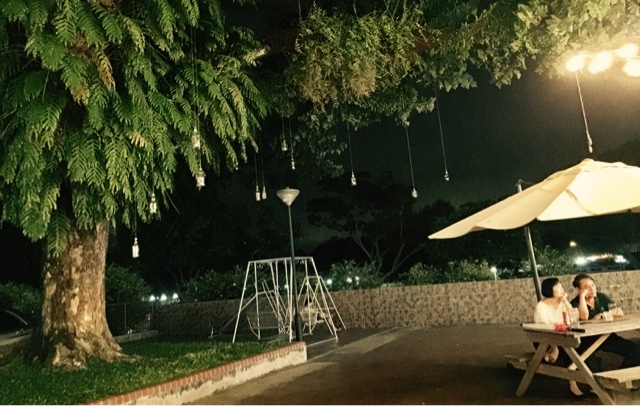 There is a huge tree with lights hanging from it and two see-saws for couples to chill. The Live Band sang very well and were very loud. They were so loud that you need to shout to get your point across. If you do not want to shout, you have to whisper close to your friend's ear. Therefore, I highly recommend this place to guys who are dating and you are dying to get your gal to whisper into your ear. Do check out when the band plays if you are having naughty thoughts! 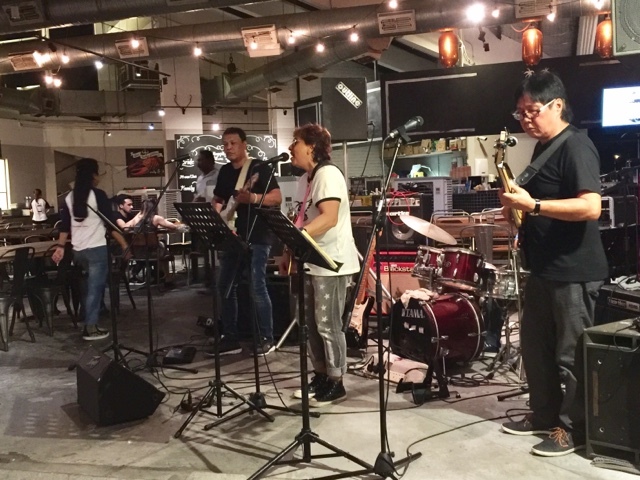 The Live Band played for 30 minutes twice on a Saturday night. Although it was not air-conditioned, the air coolers made the place comfortable for diners at the restaurant. I also enjoyed catching up with friends whom we have not met for a while. It was fun seeing them, enjoying the food, drinks and atmosphere. Although during the performance, we had to shout to be heard, I still enjoyed myself! I felt like a teenager in a disco. 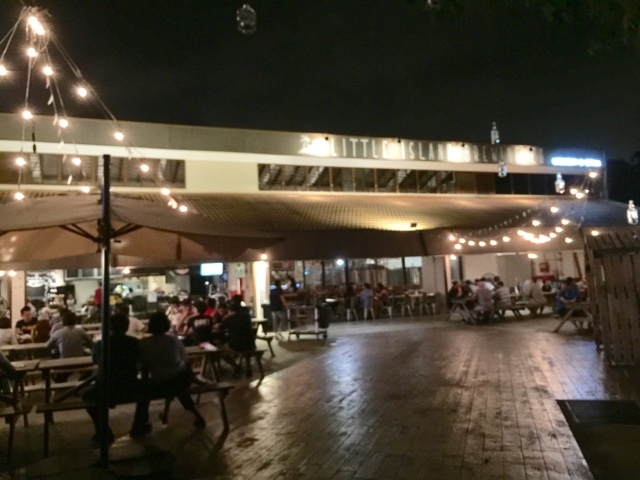 It is a very good place to chill and stone with a glass of beer. I saw the lunch menu online and it sounded very reasonable. Can't wait to try!